Little Generators Go a Long Way for Morristown Residents and Businesses - Lloyd's Electric Service, Inc.
Little generators are a must and have a variety of applications. Little silent generators from Lloyd’s Electric Service, Inc. in Morristown, Tennessee are affordable and get the job done. Whether you own a food truck that relies on little generators or a vendor who sells clothes at the local market, little generators are the way to go. 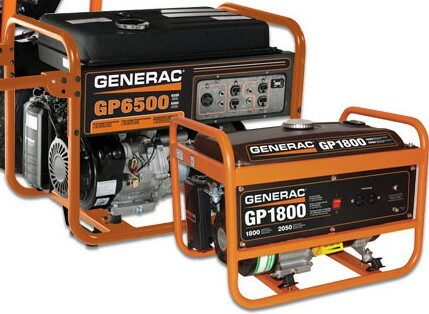 People who travel the land in their trailers can’t do without little generators, especially if they are going where there is no power. Unlike your neighbor’s loud gas-powered generator, Lloyd’s Electric Service generators are the silent generator. This is especially important if you are in a busy area. You may not be invited back if your taco truck is a bit too loud. A silent generator makes you the quiet neighbor, and who doesn’t love that? Everyone knows how annoying loud generators are at the campground. Small generators are little workhouses. They may not be big on size, but they sure know how to get the job done. When you buy a silent generator from Lloyd’s Electric Service, it is backed up with a first class warranty that can’t be beat. Ask the team in Morristown about a generator maintenance agreement as well. Service is vital for small generators. Of course, you can do some minor maintenance yourself such as emptying the gas when you aren’t using it. Be sure to start it up every week or so to make sure it is still going to start the next time you need to fire it up. For the best quality little generators in and around Morristown, Tennessee call or click and talk to a team member from Lloyd’s Electric Service. The Power Pro Elite members will be able to help you buy the best silent generator regardless of the application. Call and talk to Lloyd’s Electric Service today.